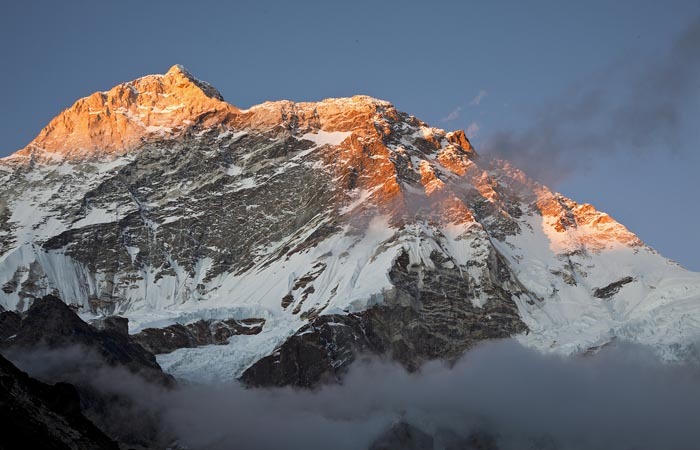 A trek to Makalu base camp, from where climbers to Mount Makalu stationed for their first ascend to the fifth highest peak in the World, is a botanist’s dream come true and a trekkers paradise. 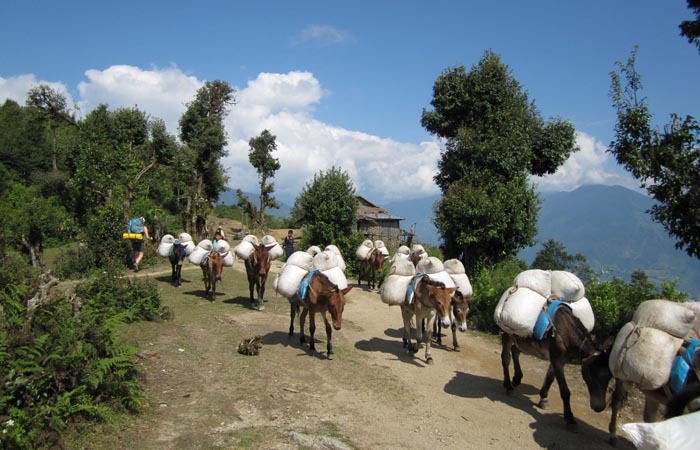 The trek has the levels of difficulty that each trekker aspires for, as the trek takes one from a leveled 450 metres to a gruelling 4000 metres and above, in a comparative displacement of 40 km. 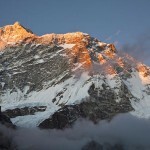 This is precisely why the Makalu-Barun National Park was commissioned here. 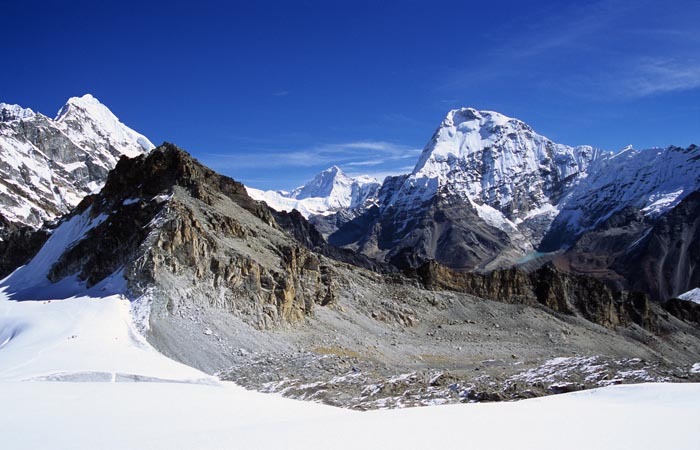 One gets to transverse terrain ranging from tropical to alpine conditions in practically a day where diverse flora and fauna catches the eye. Where communities of various ethnicity live in relative harmony with nature and self. 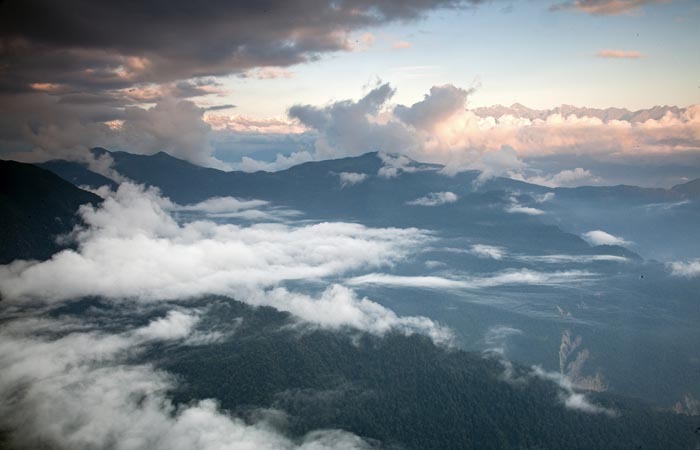 There are more than 3000 varieties of flowering plants and even the endangered red panda has made it its home. 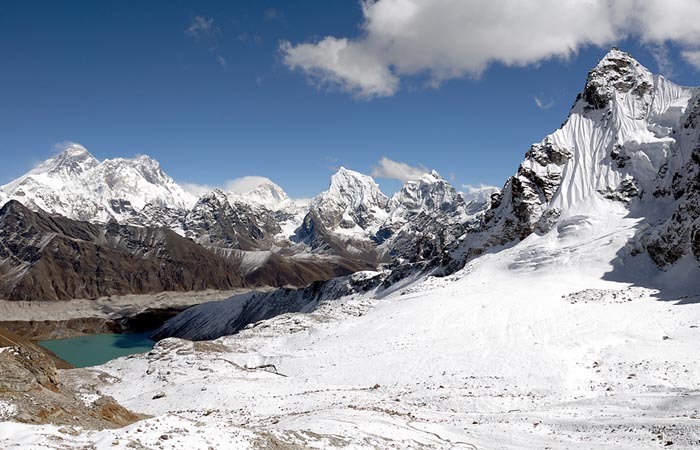 Each season is a contrast to the other in varying vegetation and animal life. 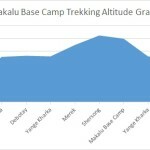 The Makalu Base Camp Trek begins at Tumlingtar after having arrived from Kathmandu. 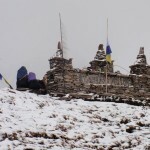 Mani Bhanjyang is the first stop over after having passed picturesque meadows and ridges. 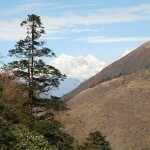 Then it is through Gurung villages and crops of cardamom to chichila to descend to Num, forested ridges of oak trees. 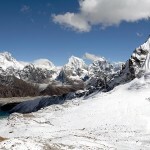 After having dropped down into the Arun Valley and past the Arun River of slippery rocks and suspension bridges, we are on our way to Tashi Gaon. Now we hit the road for our hike to Khongman via a steep climb past overhead rocks that form caves. 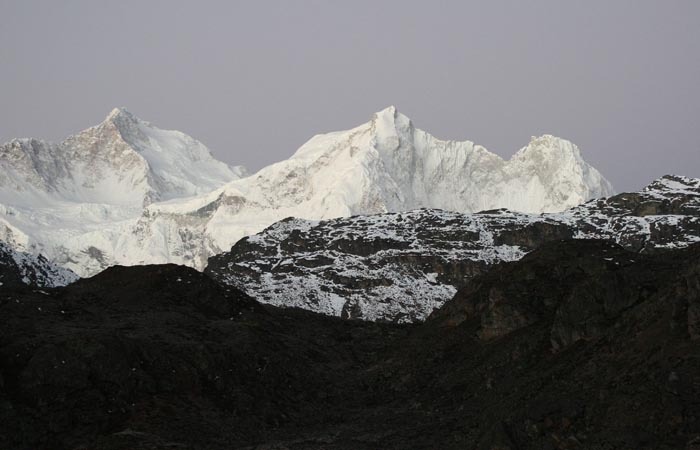 Then it is Mumbuk and Yangle Kharka for the next two days via three passes, and the view of Isuwa Khola being snow fed as well fir forests and gnarled rhododendron. 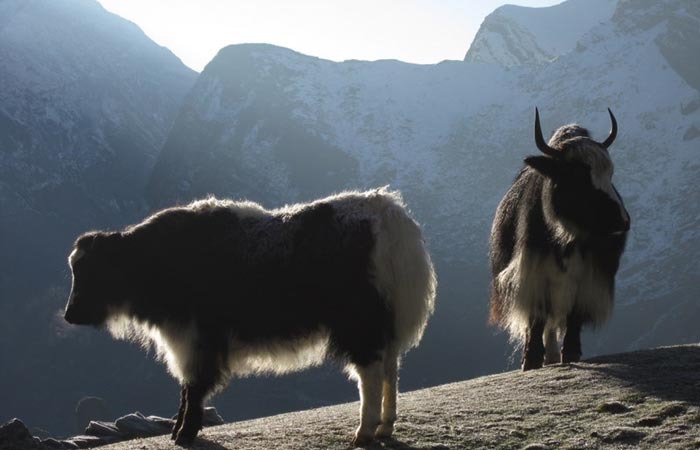 For the next two days, it is Jangma Le and Makalu base camp where you get to taste Yak’s milk and spot the sparse tents of those with aspirations to the summit of Makalu peak. From here we retrace our steps back to Tumlingtar and back home to Kathmandu. 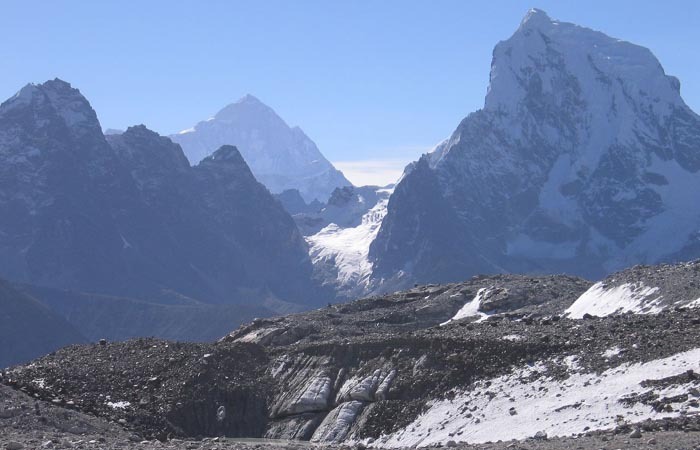 The trek to Makalu base camp can be called an amalgamation of biodiversity of culture, vegetation, animal life and of harsh terrain plus the sights of mountain peaks dotting the eastern section of the Great Himalayan range in Nepal. 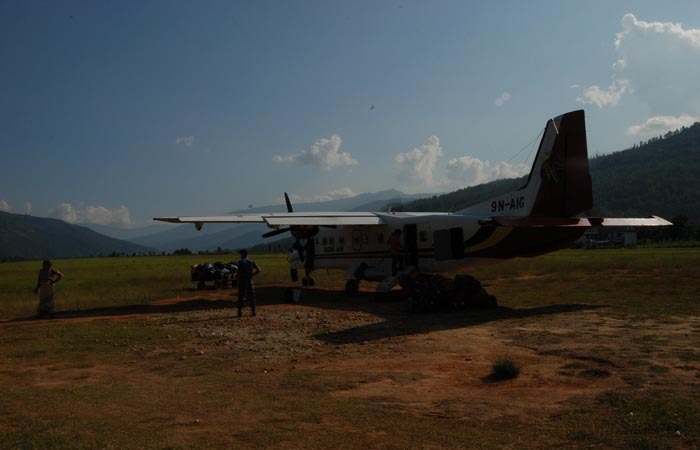 It is a 50 minute flight to Tumlingtar and about a three hour bumpy drive by jeep to our camping site at Chichila. 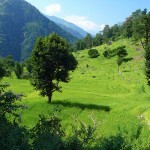 The first day’s trek takes us through pretty villages and verdure mountain landscape. 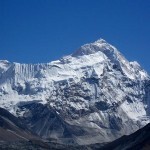 We, then, trek along a ridge with views of both side and at the end of which Num comes into view. Num is an interesting place when dark clouds come as with get a display of thunder and lightning at its best. 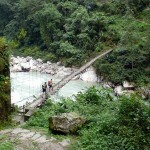 The day’s trek beings with a steep descend through forests and terraced plots of lands to Arun Khola. After which, it is a tortuous ascend to the other end. 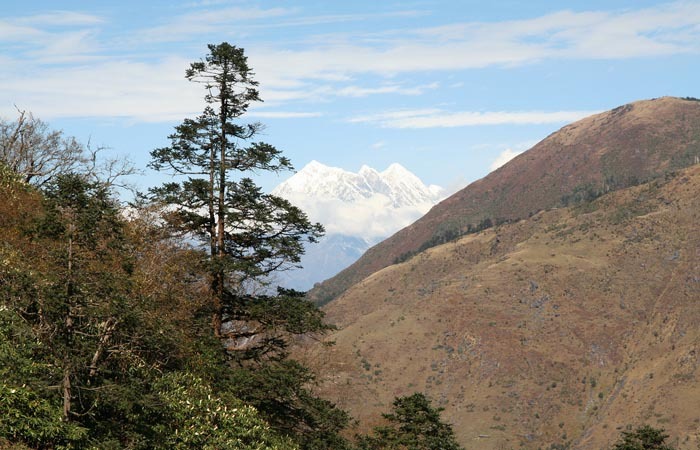 The hot days are ameliorated by the forest shade and then the Makalu National part begins. We camp right at the top of the village. 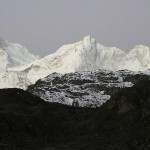 The day’s trek begins with an ascend with the Ipsuwa Khola on the west and Kasuwa Khola to the east. 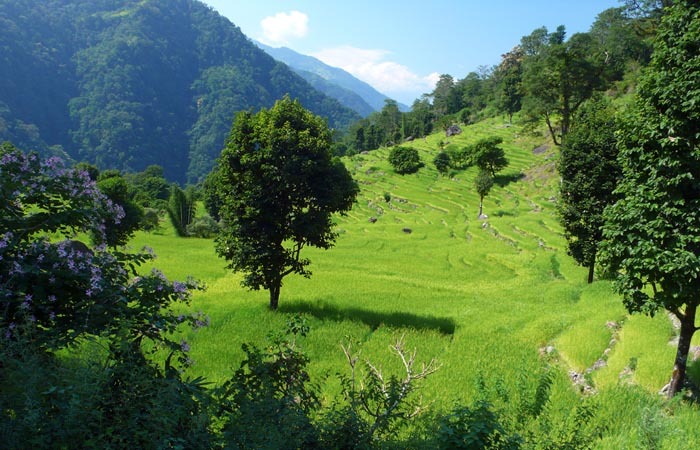 On crossing the hillside and a quite village and some paddy fields, we get to the village of Tashigaon. 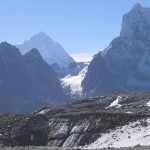 The day’s trek moves upwards to Khongma. 7. 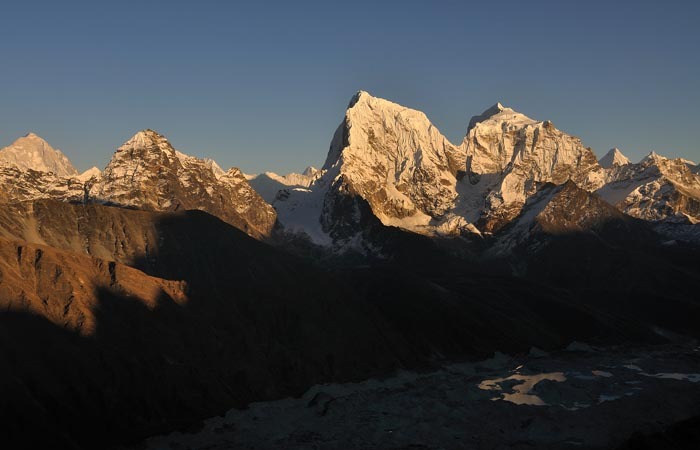 Day Seven – Acclimatization day. Since we are in pretty high terrain, we need to get use to the atmospheric level we are in. So we rest for the day. 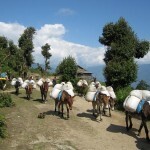 Today we trek towards Debotay first by having to cross Shipton La Pass, that takes a couple of hours to reach. 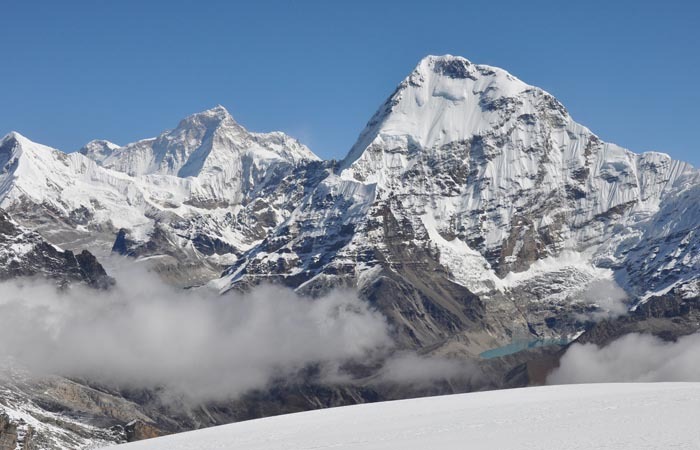 After which we head to Kalo Pokhari (small lake) and then Keke La Pass (4152m) from where we get first hand views of Chamlang (7319m), Peak 6 (6524m) and Peak 7 (6758m). There after we descend to the wonderful valley of Debotay. 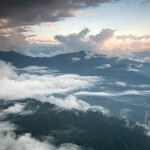 Passing through a rhododendron forest, the day’s trek gets us to Baruni River and the upper part of the valley. 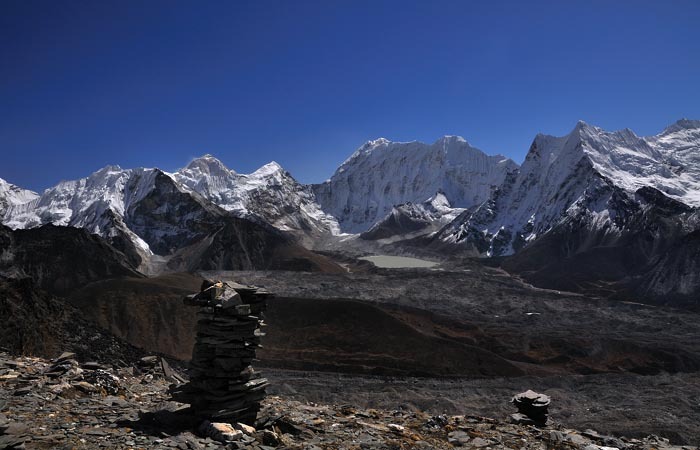 We gain altitude until we get to the camp site at Yangle Kharka. 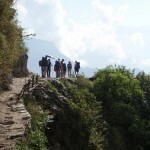 Today’s trek is rather a slow walk as our body needs to adjust to the altitude we are in. The distance to Merek is not long but the constant breaks make it seem so. 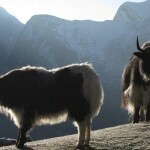 The day’s trek takes us further up the valley, past yak pastures and field of boulders. 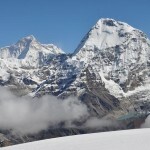 Mount Makalu comes into view as we approach Shersong. 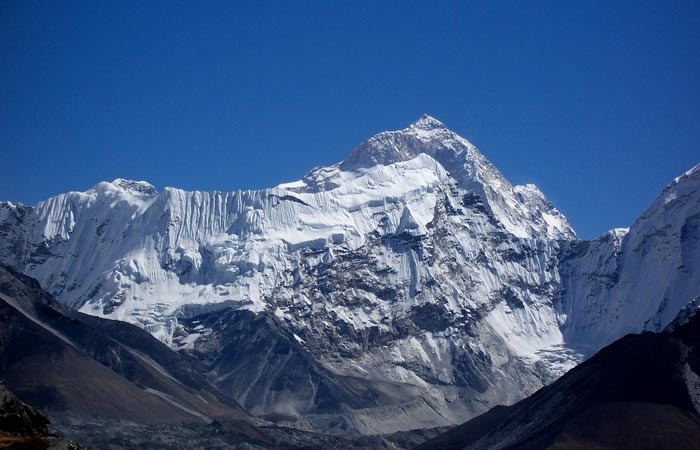 Today hike is to Makalu base camp where we get the chance to take in the breath taking views of the gateway to the summit. 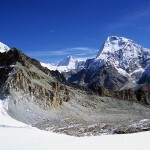 After satiation of the base camp we return to Shersong to camp for the night. The day’s trek takes on our return journey home. 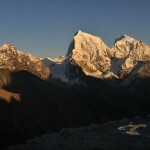 We first need to get to Yangle Kharka descend down the valley taking our last glimpses of Makalu. 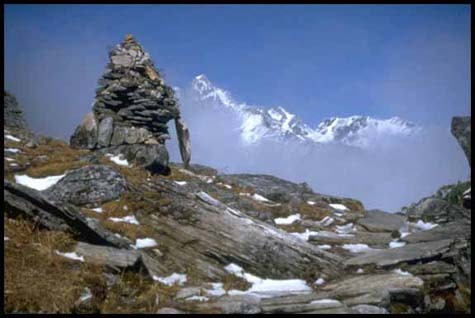 The day’s trek continues with the descend through rock falls and the gully to Mumbuk where we are greet by the return of verdure. The day’s trek begins with a steep climb through a forest of firs and rhododendron. 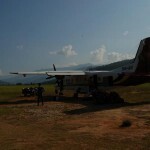 After crossing Keke La, Shipton La and Ghungu La, we begin descending to Khongma again where we camp for the night. 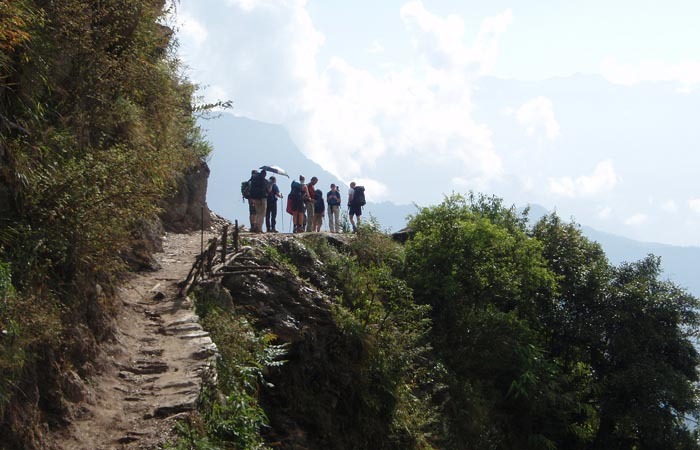 The trek continues with the descend that will long and steep cutting through the hillsides to the Sherpa town of Tashigaon. 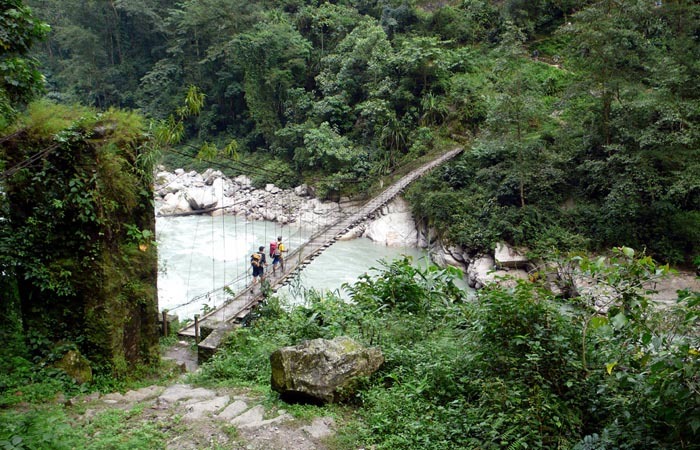 Our trek in now in retracing mode, where we exit the Makalu Barun Camp and descend down to Arun Khola (stream) and Seduwa again. Then we trek through the forest to Num. 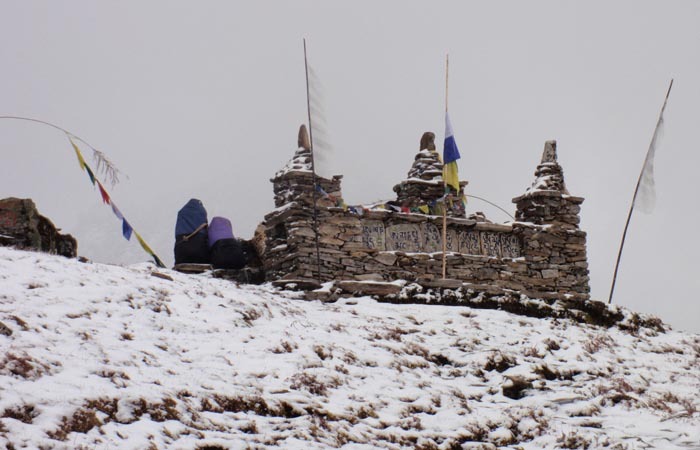 Today’s trek will take us straight back to Tumlingtar by first retracing our footsteps to Chichila. Today we take the early morning flight back to Kathmandu where after rest, we get the chance to tour the capital city and buy souvenirs for our folks back home.